LISTED $17, 300.00 BELOW the assessed value! The perfect place to spend your weekends or holiday. 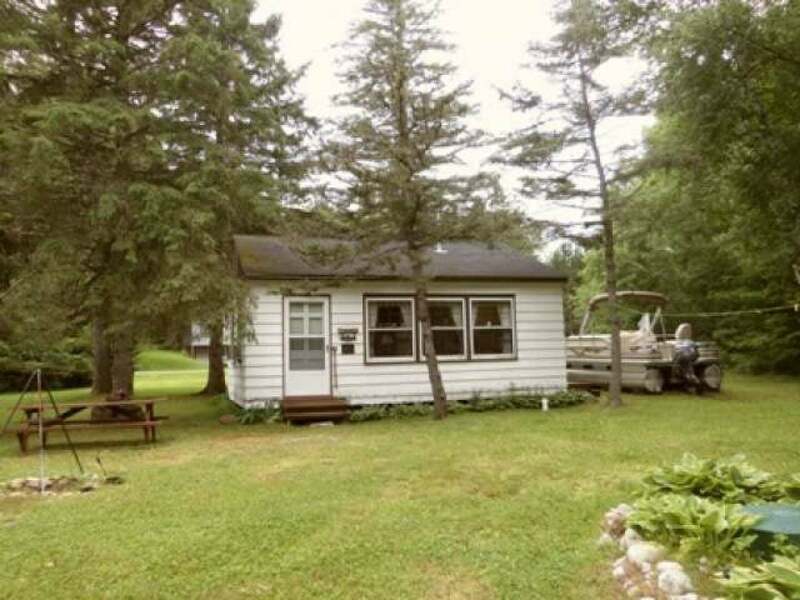 This comfortable cottage/cabin on Greater Bass Lake is well maintained, neat and clean and ready for you and your family. The spacious yard can become the play ground for the kids and the dock is available for you to get in the pontoon or do some fishing. The location of the cottage is close to golf, public swimming beach, convenience store and gas station, ATV and snowmobile trails and tons of year &apos;round activity. Most furnishings are included. Don&apos;t waste another summer thinking about buying your own lake property. Call today for your personal showing.